Stand A2B Anti-Two Block Display. 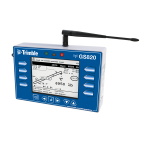 The Trimble GS375 Wireless Anti-Two Block Display eliminates the hassle of maintaining a cable connection between displays and A2B switches and provides a quick and simple stand alone Anti Two Block system. 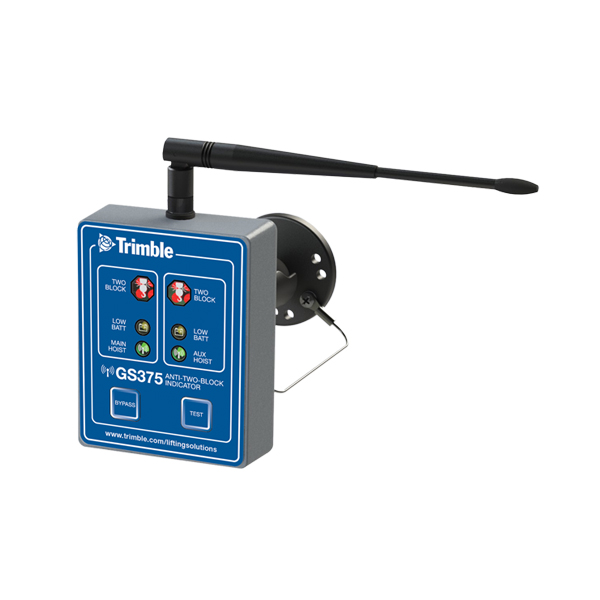 Designed to be used with the Trimble GS075 Wireless Anti Two Block Switch. 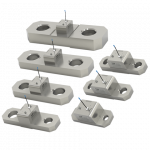 The GS375 can monitor one or two anti-two-block switches. 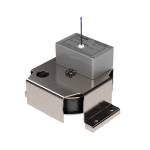 The GS375 display outputs a lockout signal to engage optional hydraulic solenoid valves. The GS series radio system features the markets most advanced radio system which utilizes Direct Sequence-Spread Spectrum-Two Way communication DSSS ensures accurate and reliable communication. GS375 input voltage range: 10 Vdc to 30 Vdc. The GS375 A2B Display and the GS075-B Wireless A2B Switch offers users a very effective and proven solution for monitoring stand alone A2B. The GS375 A2B Display comes equipped with audible and visual alarms, both of which will activate if a two block event occurs. The display provides users with the ability to monitor up to two A2B switches simultaneously. 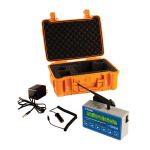 The GS375 Display can also provide a lockout signal to optionally installed, lockout solenoid valves. The GS075-B A2B Switch has a battery life that will typically meet or exceed 3 years.